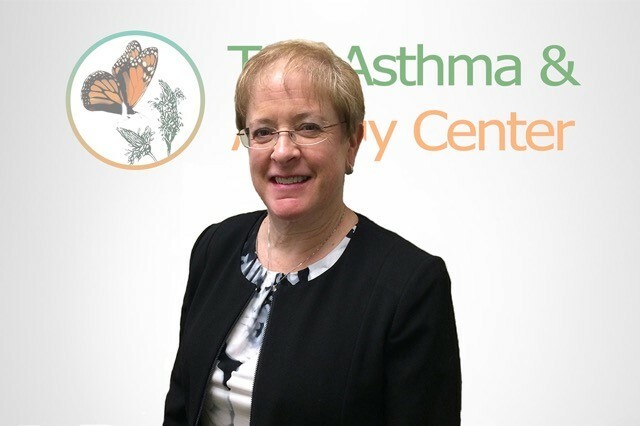 The Asthma & Allergy Center was founded in 1979 by Dr. Linda B. Ford as a modest practice located at Midlands Medical Center in Papillion, Nebraska. Dr. Ford saw patients on Saturday mornings only, but soon her popularity and reputation grew. After several office expansion projects, The Asthma & Allergy Center has grown to its current location in Bellevue, NE with over 25 employees and cares for over 10,000 patients. The Asthma & Allergy Center treats thousands of patients with allergy-related problems, from allergic rhinitis, urticaria and asthma to various drug allergies. Leading-edge procedures in the clinic help pinpoint diagnoses for patient disorders and include: skin testing for allergens, venoms and antibiotics, patch testing for a variety of compounds, spirometry, rhinoscopy, and varied challenges such as exercise, methacholine, and ingestion. In addition to providing world-class care, The Asthma & Allergy Center helped bring many of today’s asthma and allergy medicines to patients through 35 years of successful research. 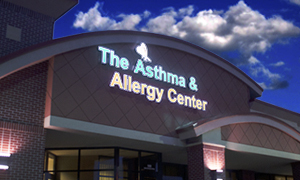 The Asthma & Allergy Center has helped paved the way for Asthma research since 1979 when it first opened its doors. Since that day, The Asthma & Allergy Center has provided care to hundreds of thousands of patients in the Omaha, Bellevue, & Papillion areas. 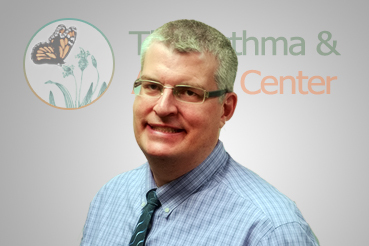 Dr. G. Daniel Brooks specializes in the treatment of Allergy sufferers and has committed the last 10 years of his time and efforts to the betterment of patient care for all Allergy sufferers alike. The Asthma & Allergy Center provides pollen counts to all major reporting hubs for the Omaha Metro area. You're guaranteed the most accurate pollen counts for Omaha, Papillion, Bellevue, and surrounding areas by using The Asthma & Allergy Center pollen counts. The Asthma & Allergy Center is a premier provider of Research Studies for the Omaha and surrounding areas to participants that meet the requirements. The Asthma & Allergy Center consistently has a variety of research studies available to qualified participants. Check out Currently Enrolling Research Studies to see what you may be eligible for. The best allergy clinic, they listen and explain everything well. I have been struggling with allergies (and they discovered I had asthma) for years and this place has done wonders for me in just a few months. The team there is so friendly and personable and you can tell they all love what they do. I just leave there smiling.. they are all great individuals who care! Care about getting you well and care about what you're going through personally. They have been great to my dad and I with what we've been going through personally. I even got... a hug from the nurse today! It just really means a lot. I always enjoy my visits with Shannon, too! Most of the time you get some doctors who shoo you out of the office as quick as they can, and that's not the case here. If you have problems with allergies or asthma, I would consider seeing them. You won't regret it. I haven't felt this good during a fall season in years! I can not recommend this practice highly enough!! They have managed to get my son’s allergies better controlled than ever. They are genuinely kind and care deeply about their patients! Courteous staff, clean facility, patient was seen in a timely manner. Time spent with patient and explanation of procedures and treatments were exceptional. I have been suffering from severe sinus congestion for 38 years and I finally went to have allergy testing done. A month later and I am still symptom free! Thank you Dr. Brooks. You are amazing! A friend suggested I try this facility and I'm glad she did. The doctors and staff at The Asthma and Allergy Center have been wonderful and are determined to help. I needed hope and I have it now, I have improved immensely. The receptionists are friendly and know me already. I feel very well cared-for here. The team there is so friendly and personable and you can tell they all love what they do. I just leave there smiling. They are all great individuals who care! They care about getting you well and what your going through personally. They have been great to my dad and I with what we;ve been going through personally. I even got a hug from the nurse today! It means a lot. I always enjoy my visits with Shannon, too! Most of the time you get some doctorrs who 'shoo' you out of the office as quick as they can, and that's not the case here. If you have problems with allergies or asthma, I would consider visiting The Asthma and Allergy Center. You won't regret it. I havene't felt this good during a fall season in years! I have been a patient and clinical study candidate at The Asthma and Allergy Center since being diagnosed with COPD in 2005. Since that time I have been under the care of the most capable and caring physicians and clincians in the treatment of this pulmonary disease. The careful consideration for the particulare studies that I have been placed in by the clinicians have always been best suited for my condition. Also, I sincerely believe that my health, well being and even my life has been improved and extended by incusion in these studies and the subsequent care included. My participation in these studies has allowed me to be on the cutting edge of the most up-to-date treatment medicines in the care of COPD patients. At the same time participation allows me to be under the careful and watchful eye of the doctors and staff at The Asthma and Allergy Center. I would like this opportunity to thank all of my friends at the Asthma and Allergy Center for the care and treatment that I have received from them over the years. The Asthma & Allergy Center, established in 1979 serves as the longest-standing commitment to providing exceptional asthma and allergy care to Omaha, Bellevue, Papillion, and surrounding areas. The Asthma & Allergy Center provides patient care to over 10,000 local Nebraska residents. This outstanding commitment to each patient’s treatment rates The Asthma & Allergy Center as second to none in asthma and allergy care. The Asthma & Allergy Center staff goes above and beyond to make every patient feel less like a number and more like a family member in the AAC community. Every patient is treated with individualized care, ensuring maximum benefit from your experience with The Asthma & Allergy Center. Since it’s inception in 1979, Dr. Linda B. Ford and The Asthma & Allergy Center have received many awards and recommendations. The Asthma & Allergy Center’s commitment to it’s patients and care show through the community’s feedback. Dr. Linda B. Ford served as the 93rd president of the American Lung Association while helping pioneer the field of Asthma & Allergy since 1979. Board certified by the American Board of Allergy & Immunology, Dr. Brooks specailizes in the treatment of allergic individuals. Rita Rogers coordinates and recruits The Asthma & Allergy Center's research studies for patients. 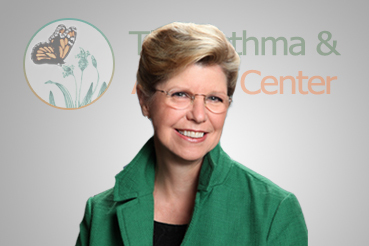 Her commitment to asthma and allergy studies helps to continually further the field of study for asthma and allergy sufferers. She is an expert in patient placement finding the right study for the right patient. Has over 30 years of experience in healthcare. Gloria received her CPC in 2001. She is a member of the Heartland chapter of Professional Coders. She is an active member of the Professional Association of Health Care Office Management (PAHCOM) and has served as past president. Gloria enjoys traveling, genealogy, walking her dog and spending time with family.